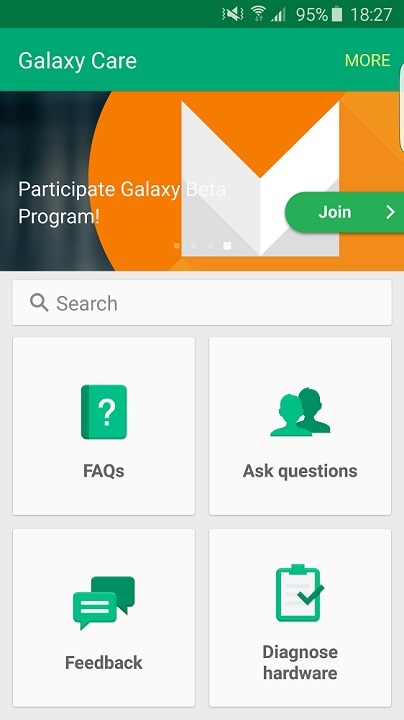 Samsung has closed the beta testing program. If there is any other update comes, I’ll post it. You need to have an unlocked Galaxy S6 or Galaxy S6 Edge and BTU firmware installed. The model number should read SM-G920F or SM-G925F respectively. Other version will not work. If your phone is unlocked and BTU firmware not installed follow our Galaxy S6 Edge debranding guide, it should work with Galaxy S6 as well. Just look for BTU firmware for SM-G920F. If everything is OK within 24 hours you should receive a message to start the update. There are plenty of updates and optimizations along with the latest Android version. I just submitted my request to beta test Android Marshmallow on my S6 Edge. Waiting for further communication from Samsung beta testing team. Let us know if you are joining as well and your experience. Note: You are responsible for anything you do on your device. You should not use a different model that is not listed here, you may brick your device.